Visit Yongpyong Ski Resort, one of the best ski resorts in Korea, for a world-class ski experience this winter! Yongpyong Resort, located at the foot of Mount Balwangsan in Pyeongchang, Gangwon Province, is the biggest ski and snowboard resort in Korea. And thanks to its average annual snowfall of around 250 cm, Yongpyong Ski Resort is an all-time favorite ski resort among skiers and snowboarders. The ski resort was also selected as a site for the Alpine Skiing event at 2018 Pyeongchang Winter Olympics. Yongpyong Ski Resort usually runs from mid-November to early April. For those who wish to hit the slopes at Yongpyong Ski Resort this winter, be sure to plan or book your ski trip ahead of time! If you’d like to know the opening date of Yongpyeong Ski resort for 2018/19, Click here! The Rainbow slope is the highest slope of all and is also designated as the site for the 2018 Pyeongchang Winter Olympic Games. When you are at the top of the Dragon Zone, you can choose to take one of the five Rainbow slopes. For advanced skiers, we’d recommend the Rainbow Paradise course (Dragon Zone), a 5.6 km-long slope at 5,600 meters, which is the second longest slope in the country. If this is your first time skiing, be sure to learn how to ski through a ski lesson! Seoul Nambu Express Bus Terminal/Dongseoul Express Bus Terminal → Hoenggye Express Bus Terminal → Yongpyong Ski Resort via a local bus. ※During the winter season, Yongpyong Ski Resort is extremely popular, so it’s best to book your bus ride in advance. You can take the new express train (KTX) from Seoul to Jinbu Station and take a local bus to Yongpyong Ski Resort. Book your ski or snowboard tour to Yongpyong Ski Resort via Trazy.com, Korea’s #1 Travel Shop – it’s the easiest way to go to Yongpyong Ski Resort from Seoul! Even if you don’t ski, we strongly recommend you to take the 3.7 km gondola ride to the most scenic part of the resort, the Dragon Peak. As one of the best-known attractions in Yongpyong Resort, you can take in the magnificent views of the surrounding landscapes from the gondola. The magnificent natural landscape of Greater Baekdu Mountain Range at Yongpyong Ski Resort. Dragon Peak, a traditional Swiss-style building housing a coffee shop, a Korean restaurant and steakhouse next to the garden, which is a great place for visitors and skiers to take a rest. To add, the garden is surrounded by white, powdery snow and is the starting point for the walk to the peak of Balwangsan Mountain, the 13th highest mountain in Korea. Here, you will be able to take in the breathtaking view of the snow-covered mountains and a forest full of yew trees that can live for 1000 years! Plus, the ski lift ride to the Dragon Peak is a must-try for everyone! It’s absolutely amazing!! 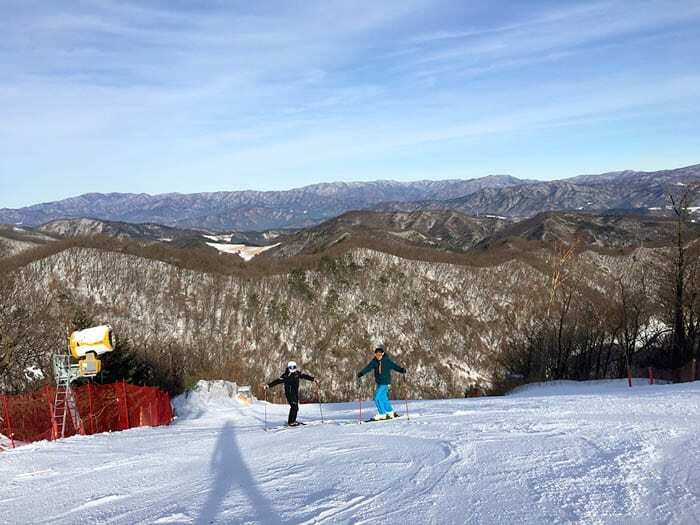 Yongpyong Ski Resort offers accommodations featuring hotels and condominiums: Dragon Valley Hotel, Tower Condominium, Villa Condominium, and YongPyong Condominium. If you want to spend more time skiing or even night skiing, you should absolutely check out the 2D1N package instead of the 1-day package! The rooms in Tower Condominium are available for booking throughout the ski season. Starring Gong Yoo, Lee Dong-Wook, Kim Go-Eun, and Yoo In-na, Goblin, particularly, has led to the huge popularity of the ski resort. Find out the filming spots within Yongpyong Ski Resort from Goblin below! Did you ever wonder where the back hug scene was taken? It’s when Shin finally confesses his feelings to Eun-Tak and gives her a back hug against this amazingly beautiful backdrop, the Dragon Peak Sky Garden. Try to drop by this garden when you visit Yongpyong Resort. It’s indeed the perfect place to go with a special someone and maybe even recreate the scene! As she rides, Eun-Tak lights up a match to summon Shin who, to her disappointment, doesn’t show up. Or so she thinks. As she approaches the area to alight from the gondola, she lights up with a smile on her face as she sees Shin, waiting for her with his hand extended towards her. Well, this was another scene that made our hearts melt, seeing how lovingly they both gaze at each other. Didn’t all the scenes from the episode make you want to visit this place? Then follow the footsteps of Goblin at this awesome ski resort in Korea! Who knows, maybe you’ll even find your own special someone there. Looking to save some expenses for your trip? Check out all the coupon codes we have here! You can use provided coupon codes to go on two winter tours at a discounted price! Click here to buy 2 winter tours with a coupon code at a discounted price! Or are you looking for the perfect ski trip tailored just for you? Here you can search and select all options depending on your needs! Click here to customize your preferences so you can go on a skiing trip that matches your exact needs! Enjoyed reading this post? 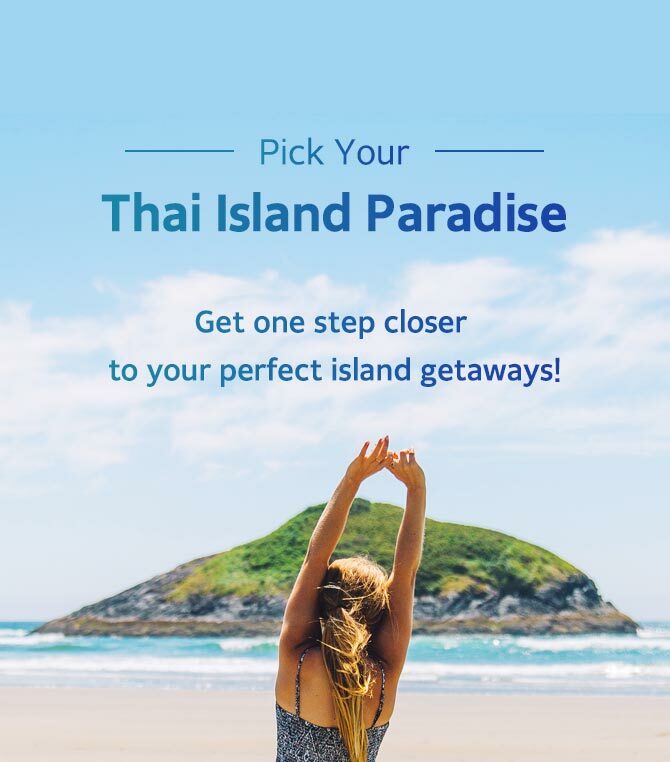 Don’t forget to check out Trazy.com, Korea’s #1 Travel Shop, for more informative posts like this one as well as the latest fun things to do in South Korea! Thanks for the detailed info….Now I know where is that beautiful ski resort….